What is AWS Step Functions? AWS Step Functions lets you add resilient workflow automation to your applications in minutes—without writing code. 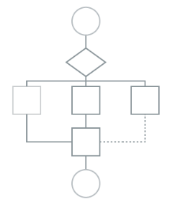 Workflows built with Step Functions include built-in error handling, parameter passing, recommended security settings, and state management, reducing the amount of code you have to write and maintain. Ready to get started? 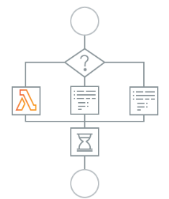 Follow the walkthroughs in the console or our Developer Guide for step-by-step instructions on using AWS Step Functions to create a simple state machine. 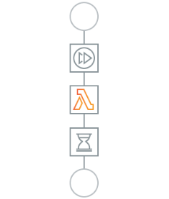 AWS Step Functions lets you coordinate individual tasks into a visual workflow, so you can build and update apps quickly. 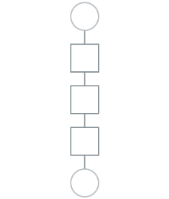 The workflows you build with Step Functions are called state machines, and each step of your workflow is called a state. Tasks perform work, either by coordinating another AWS service or an application that you can host basically anywhere. Pass states pass their input as output to the next state. You can also delay execution when you need to using wait states. Parallel states begin multiple branches of execution at the same time, such as running multiple Lambda functions at once. 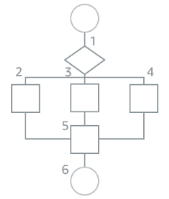 Choice states add branching logic to your state machine, and make decisions based on their input. When you execute your state machine, each move from one state to the next is called a state transition. You can reuse components, easily edit the sequence of steps or swap out the code called by task states as your needs change. That's it! You're now familiar with the core concepts of Step Functions. 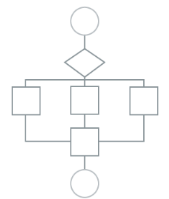 Why not create your first state machine? 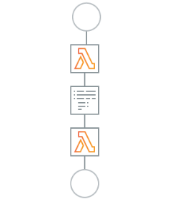 In this tutorial you'll create an AWS Step Functions state machine that uses a AWS Lambda function to implement a Task state. A Task state is a simple state that performs a single unit of work. You can coordinate task code in your state machine. This tutorial introduces you to creating an activity-based state machine using Java and AWS Step Functions. 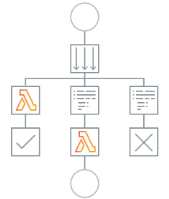 In this tutorial, you create an AWS Step Functions state machine with a Catch field which uses an AWS Lambda function to respond with conditional logic based on error message type.